The term “Natural Born Speaker” is typically used to describe a person who speaks easily & confidently in front of others. But is that a valid description of an accomplished Speaker? My experience tells a different story: Good Speakers aren’t “Naturally Born”, they’re really not. In fact the general acceptance of this phrase can have severe negative implications for any that accept it as true. And those implications, statistics reveal, affect most of us. Primarily it’s a discouraging effect. Quite frankly, we are, all of us, ill-served by accepting the validity of this phrase and yet the majority of people do. Do you want to be acknowledged to be a Trusted Speaker? Of course. In fact you need to be a Trusted Speaker if you intend to make a difference in people’s lives, influence decisions, change opinions, and, most importantly, develop Support for your goals. Can’t I simply read a book to gain Confidence in Public Speaking? Well, as long as you asked, I honestly have to say, No, not really. I know I’m probably offending many authors, educators, and publishing companies that sell other viewpoints and profitable Speaking Tools. But my opinion is based on personal experience Teaching & Coaching many clients and classes, both in the US and in Japan. note/before you spend any money on any training, make sure you know what it is you really want to accomplish. Although I work with students of all ages with various educational backgrounds, the one point you cannot get from a book, cd, dvd, YouTube video(even mine), is the judgement call, the professional opinion that says: You got it! That’s it. That’s the way it “feels”. When you want to achieve that result, repeat that action. -At some point you must risk getting in front of someone, preferably a smallish group and working it out. This stuff is learnable. Go read the article and decide from there. Speaking is “Being in the Moment” with an audience of any size. Speakers frequently have the opportunity to work with Lecterns & Podiums. 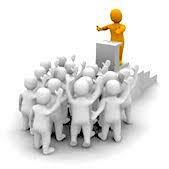 Each one is a Speakers tool and the proper use can enhance your impact with your audience. Lecterns & Podiums come in a variety of sizes and shapes, and they are often confused as being the same thing or interchangeable… but they’re not.